Some 40 years ago, Celestron founder - Tom Johnson - introduced the first Celestron Schmidt-Cassegrain telescopes into the amateur astronomy market and began a revolution. Now, Celestron's CGEM-II-925 takes performance to a new level beginning with the extreme optical quality of the 9.25" Schmidt Cassegrian combined with Starbright XLT coatings mounted on Celestron's newly engineered and innovative CGEM-II mount. This new take on a tried and true design has given the world another Celestron "classic" - one capable of carrying the load securely and vibration free... and taking both astro imaging and visual observing to new heights. With a telescope capable of gathering 1127X more light than the human eye, the precise f/10 optics of the Celestron C925 SCT offer up an incredible 0.49 arc seconds of resolution spread out over a 0.53° angular field of view. With a limiting magnitude factor of 14 and a practical magnification limit of 555X, we're talking about a telescope able to deliver remarkable planetary and lunar views. When sky permits, you can expect to see details like delicate divisions in Saturn's ring structure, details on Mars and follow Jupiter events like shadow transits and Great Red Spot appearances with ease. Star clusters will transform into well-resolved facets, galaxies will take on structure and difficult double stars will yield their companions. With a low end magnification limit of 34X, just add a wide field eyepiece, or open both eyes wide with Celestron Stereo Binocular Viewers and enjoy panoramic vistas of extended nebulae and sweep the heavens for every last photon! 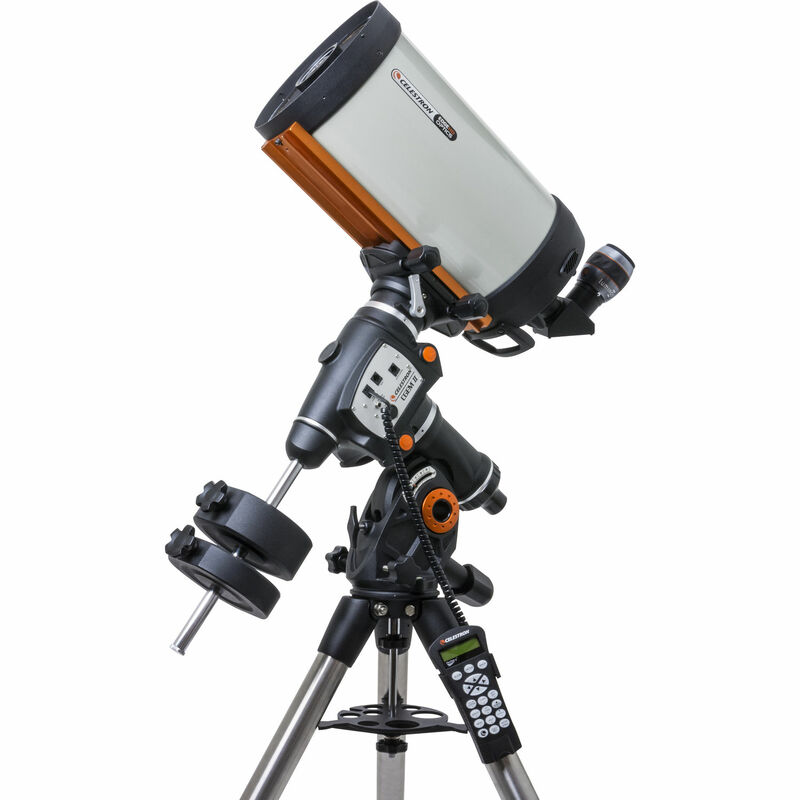 What sets the 9.25" Celestron CGEM-II apart from competitor models is simplicity and durability. The 9.25" CGEM-II was designed to be ergonomically friendly with large Altitude and Azimuth adjustment knobs for quick and easy procedures and adjustments. The intuitive All-Star system allows users to choose any bright star from the NexStar hand control, while the software calculates and assists with polar alignment. Then, just kick back and enjoy. The CGEM-II-925 database will provide over 40,000 objects, 100 user defined programmable objects and enhanced information on over 200 objects for your celestial viewing pleasure. But it's more than just to "GoTo" functions which will make the Celestron CGEM-II-925 SCT telescope one of the most worthy optical investments you'll ever consider... It's the design qualities which make this telescope last that count. 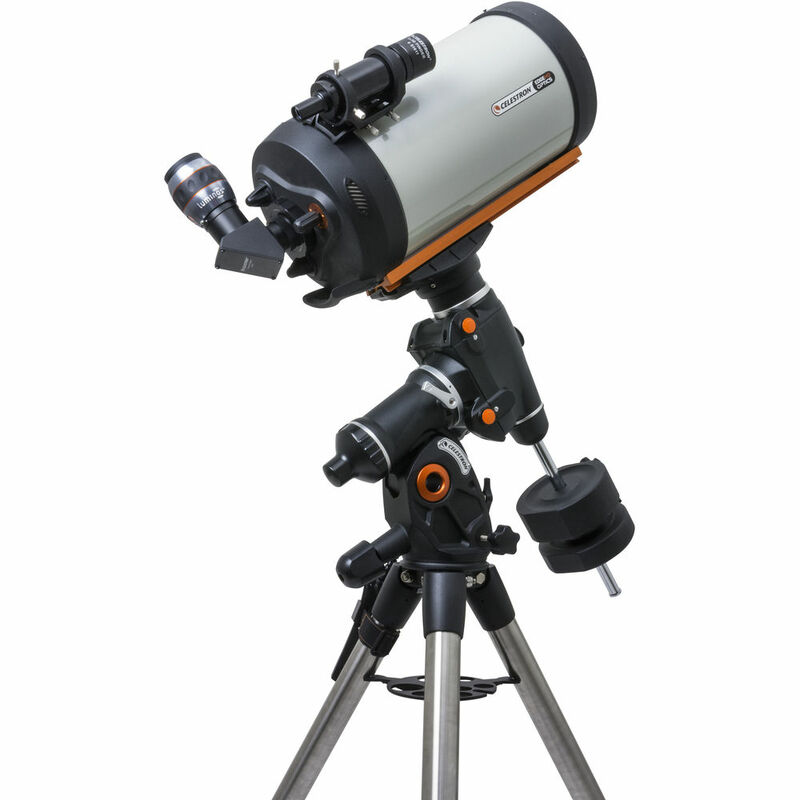 Unlike less expensive models, the Celestron CGEM-II Schmidt-Cassegrain mechanism that moves the primary mirror to adjust focus is supported by two pre-loaded ball bearings, minimizing the "mirror flop" typical of bushing focus mechanisms. There's nothing to get dragged or snagged during set-up or transportation because the RA and Dec motor wiring is all internal. The drive incorporates a low cog DC Servo motor with integrated optical encoders which ensure smooth, quiet operation and long life... a the motor armatures are skewed to minimize cogging which is required for low speed tracking. Precision machined 40mm diameter steel polar shafts are supported by multiple tapered roller bearings and ball bearings while the mount utilizes a steel worm gear and 90mm pitch diameter brass worm wheel. Even a secure power plug is employed, so the mount's 12V DC 1.5 Amp power source can't be accidentally disconnected. 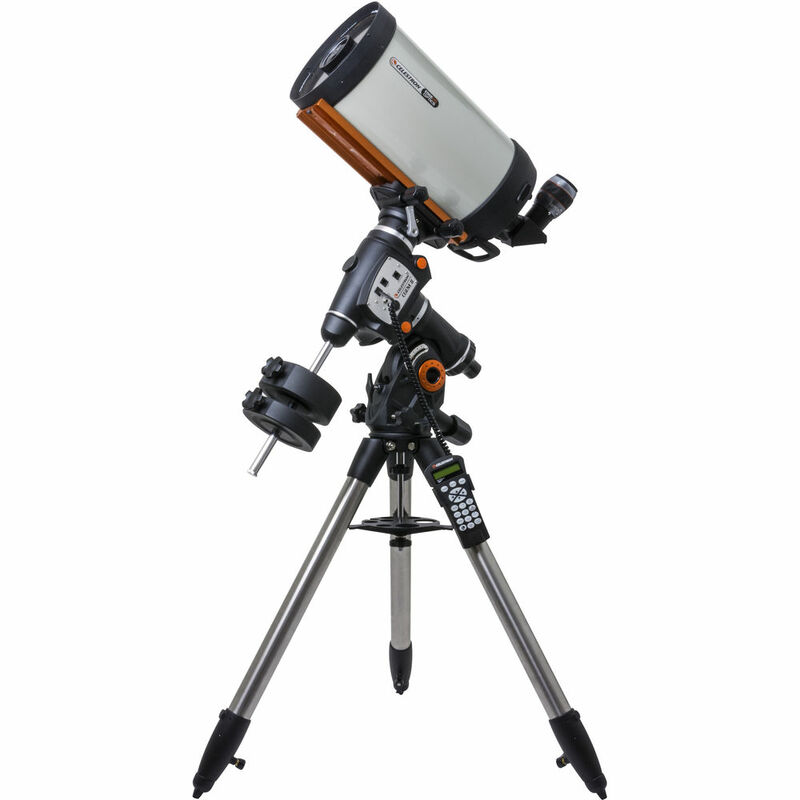 The Celestron CGEM-II-925 comes equipped with a car battery adapter, but you'll find this telescope so fascinating you might just want to add a AC adapter or Celestron Power Tank, too! Furthermore, the dual plate design allows you to choose between the CGE-Pro or CG-5 style dovetails, meaning that you can freely utilize a much wider range of scopes and accessories in conjunction with this mount! Still more? Then consider the many features that make the Celestron CGEM-II a "gem" for astrophotography, too. It can be as simple as adding a Celestron NexImage Solar System Imager to the CGEM-II-925, or even just adapting a digital camera. Not only will it track well past the meridian for uninterrupted imaging through the most ideal part of the sky, but the Permanent Periodic Error Correction (PPEC) will allow users to train out the worm gears periodic errors, while the mount retains the PEC recordings. Autoguide port and auxiliary ports are conveniently located on the electronic plate for long exposure astrophotography and include a designated six-pin RJ-12 modular jack and ST-4 compatible guide port. You'll find an RS-232 communication port on hand control to control the telescope via a personal computer and NexRemote telescope control software, for advanced control. 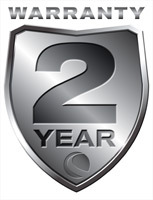 Software features include; mount calibration, database filter limits, hibernate, five alignment procedures, and user-defined slew limits. What's even better is that it's all flash upgradeable. 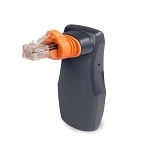 Just connect to the Internet to update your hand control software and motor control units. 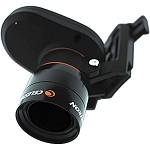 You can even add an optional Celestron GPS unit!